Grapevine recognises the semicolon symbol as a symbol of hope and promotes safeTALK to Parents and Teens with a Parent & Teen safeTALK to be held on May 14, 6 to 9pm at Quest on Gordon. 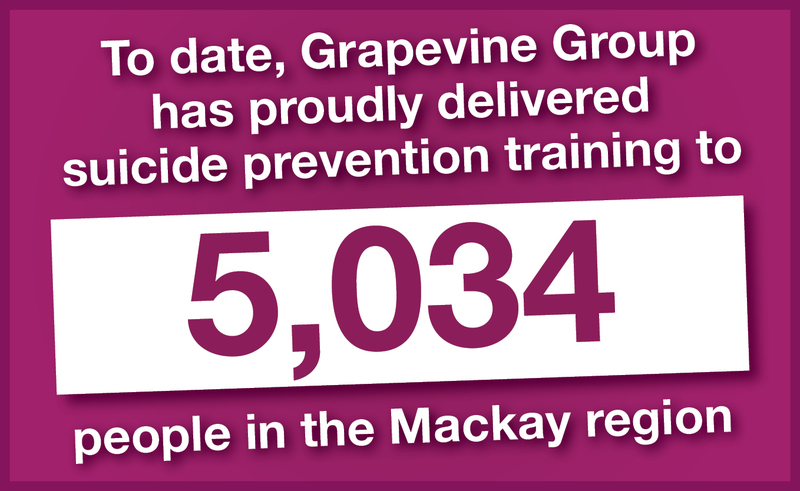 Do you have a Mental Health event, activity or training in the Mackay region and like to be listed above? Do you have corrections for our calendar? 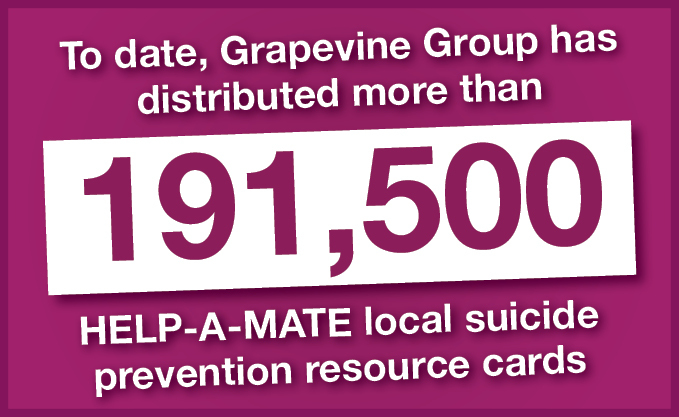 During the month of April Grapevine acknowledges the semicolon symbol of hope and appeals to Parents and Teens in the community to undergo safeTALK sucide prevention training. The Blokes Brekky is for men and women who want to know how to support their mates. Hear and learn from other men's first-hand experiences of feeling suicidal and how they've managed to survive and thrive. Speakers include local blokes as well as Jake Edwards, a former Carlton player and founder of Outside the Locker Room. The weath of knowledge to be gained from these men cannot be measured.